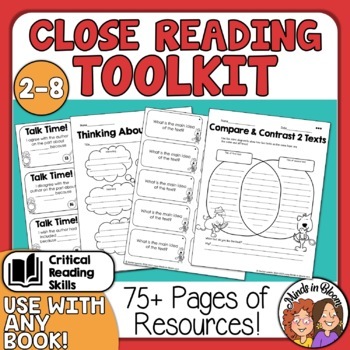 Make Close Reading Easy with this toolkit, jam-packed with posters, graphic organizers, discussion starters, writing prompts and plenty of close reading strategies and teaching tips. These resources will work with any informational (nonfiction) text and to address all of the Common Core RI standards. You can use these materials for your entire lesson or to supplement close reading materials you already have. Use them in a variety of ways – individually, in pairs, in group discussions, and with interactive notebooks. Choose the ones that work best for you. -The Close Reading poster guides students through the three readings of a passage, telling them what to look for and what kinds of questions to ask. Three versions are provided. -The Mark it Up! annotation guide shows students how to annotate a passage as they perform close reading. Three versions are provide. 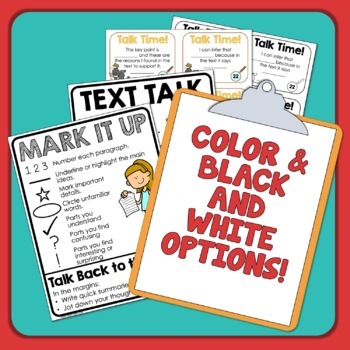 -The Text Talk poster provides talking prompts to help students talk effectively about the text. Discussing the text in small groups is an important part of close reading. Written in the first person, these 36 Talk Time cards will help your students to discuss the text with their classmates. The cards are color coded for first, second, and third reads. There are also cards to use at any point during the close reading process. Use these 16 different graphic organizers and printables to help your students explore different aspects of the text. Both lined and unlined versions of the graphic organizers are provided. There are activities for each stage of close reading, including graphic organizers for each of the five text structures. Some of these would make good pre-writing activities for an in-depth text-dependent question. These 20 text-dependent writing prompts are perfect for using with interactive notebooks. They could also be used on notebook paper or as exit slips. The prompts will help your students to dig deeper into the text at any stage in your close reading. 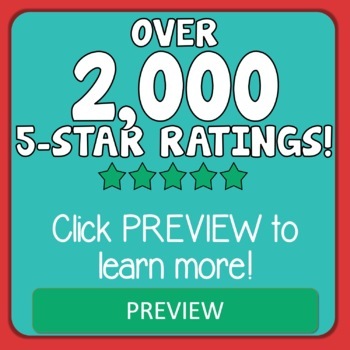 They cover main idea/supporting details, text structures and features, author’s purpose, making connections and more. Each prompt is repeated 10 times on a page and are formatted to print out on Avery 8163 labels. 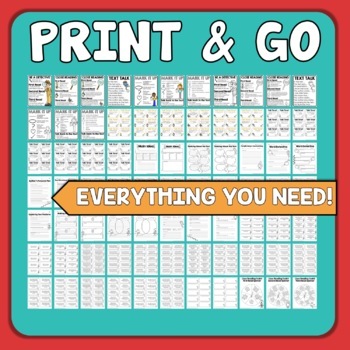 The prompts can also be printed on regular printing paper, cut out, and glued or taped into interactive notebooks or onto notebook paper. A blank sheet is also included for you to create your own writing prompts. Standard RI.10 will depend on the text you select. Choosing curriculum relevant text will help you to meet this standard.